FEARSOME SNAKE ON THE PLANET? Hopefully this page will help you learn some informative and fast cobra facts. Don’t forget to bookmark our site and come back to learn lots more, and have some fun too! How many cobras are there? Overall, there are around 270 types of Elapid Snakes (that include the Cobras and their relatives such as the Taipans, Adders, Mambas and others). There are around 28 types of Cobras, who are regarded as true Cobras. King Cobras are just one type of cobras, although they belong to a genus of their own. Are Cobras aggressive? Most cobras are shy, and will usually run and hide when people are around. The exception is King Cobra, who is aggressive and will rear up and stand his ground when confronted. What unique power do they have? This is one of those supernatural cobra facts that always amazes me: Cobras are the only snake in the world that can spit their venom, and they are accurate up to about half their own length! Jacobsen’s Organ: Gives the Cobra super smelling ability. How well can they smell? Cobras have a “Jacobsen’s Organ” (like most snakes) that gives them super smelling ability. They can sense tiny changes in temperature, which helps them track their prey at night. Can they hear? Cobras can hear, although they sense sound through contact with the ground much better than humans. How heavy are Cobras? They vary in weight, depending on species, from only a few ounces for a typical African Ringhals, to 35 lbs. for a large King. How old do they get? Cobras typically live up to 20 years or more, when they’re in the wild. How powerful is their Venom? Cobras venom is not the strongest there is, but cobras can inject so much venom in a single bite that they can kill an elephant. Sea snakes have deadlier venom, and rattlesnakes have weaker venom. Anyway, if you plan to be around venomous snakes – always have a Snakebite First Aid Kit close by. Coghalan’S Snake Bite Kit is one good option. Are they poisonous? Cobras are not poisonous, they are venomous. This means that even though they have deadly venom in their sacs, the rest of the snake is edible to predators, if they are brave enough to try! 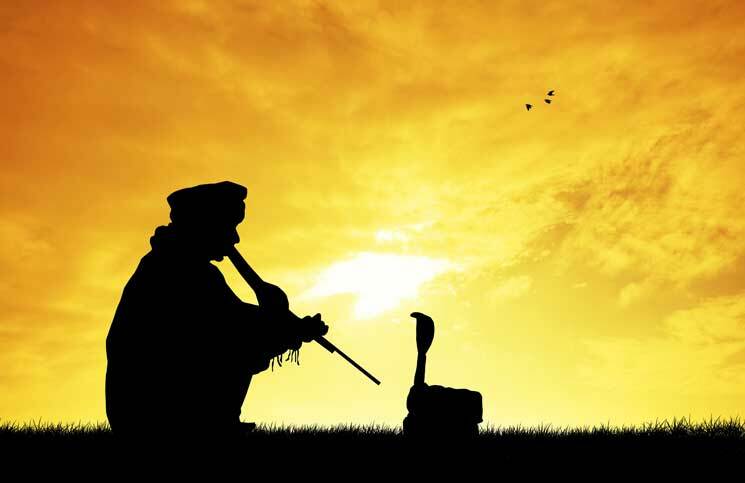 How can Snake Charmers avoid death? Many snake charmers remove the fangs or the venom sacs from their snakes, because it is too dangerous. This practice is illegal, and is considered inhumane to the snake. For those of you who want to do something about it, if by teaching others or helping those who teach, I urge you to visit ASP, an American nonprofit organization dedicated to changing the way people view and treat snakes. For our readers from India there is the famous non-profit organization “Friends of Snakes Society”, founded in 1995, which is dedicated to the protection of, and public education about, snakes. HOW DOES THE COBRA HOOD FUNCTION? What did Scientists discover about the Hood? In 2010, scientists from the Washington State University in the U.S uncovered the mechanism behind the menacing “hood flare” that Cobras deploy for defensive means. The scientists measured the electrical activity of the Cobra’s muscles, and discovered the exact group of muscles used to raise the hoods. There were only 8 muscles found to be involved in the “hooding”. The interesting fact is, that these muscles were also present in non-hooding snakes. 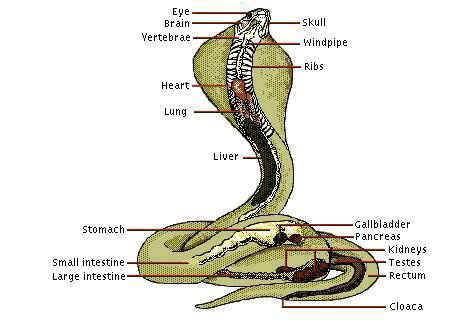 The scientists further claim that the Cobra’s hood evolved as its ribs were “co-opted” to be used in this unique visual display. These findings were reported in the Journal of Experimental Biology. Do they eat their own? Cobras will gladly devour birds, fish, frogs, toads, lizards, eggs and chicks raided from poultry houses, in addition to small mammals such as rabbits and rats, and even other snakes. To learn more about the menu of the most fearsome snake, read our post “What Do Cobras Eat?“. Did you know that Cobras are at the top of the food chain? Their only natural predators are the mongoose, a few large birds of prey like the Secretary Bird, and man of course. You are welcome to read more about the Cobra Predators. How smart are Cobras? Cobras are very intelligent, and can learn quickly, which helps them avoid dangerous areas. 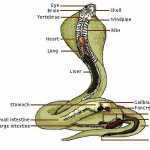 As a Cobra owner for many years, John Klein wrote a great post on the Cobra’s snake brain and intelligence. Do Cobras always inject their Venom? This is surely among the most surprising Cobra Facts on this list. Do you know that Cobras don’t always inject venom when they bite something? Well, they can do a “dry bite” if they choose to, without injecting the venom automatically. However, you can never know what a Cobra will do, so for any case whatsoever, it’s always wise to have a Snake Bite First Aid Kit at hand. What is the treatment for a Cobra bite? The best special medicine given to cobra bite victims, called “antivenin”, is made from cobra venom. Are Cobras legal? Obviously it is illegal to keep a cobra as a pet. Well that is at least the case in most places, because Cobras are so dangerous if handled by the wrong people. Are Cobras like Gods? 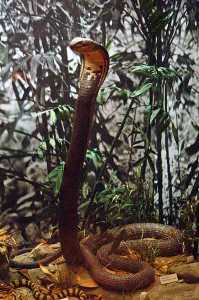 Cobras are revered in India and Southeast Asia. The Hindus consider them manifestations of Shiva, the god of destruction and regeneration. The Buddhists believe a massive cobra spread its hood over the Buddha to protect him from the sun while he meditated. Cobra images guard the entrances of many Buddhist and Hindu temples. King Cobras have also been worshipped as sun deities and associated with rain, thunder, and fertility. On the annual lunar holiday of Nag Panchami, Hindus refrain from plowing and field work out of respect for cobras. The Super Cobra Snake Car: The Most sought-after car ever? In the early 1950’s, a young American named Carroll Shelby was one of the world’s first professional race car drivers. Later on he was told he could not drive anymore because of heart problems, so he begun building a new sports car. He called it AC Shelby Cobra, and it became one of the most sought-after and replicated cars ever. 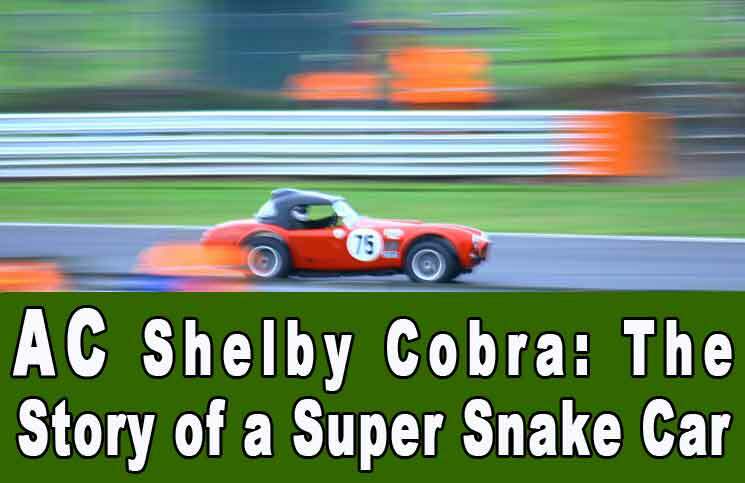 For more please read our great post “AC Shelby Cobra: The Story of a Super Snake Car”. WHY ARE KING COBRAS GREAT PARENTS? What does the Cobra name mean? King Cobras, known also as the Ohiophagus hannah, eat other snakes! 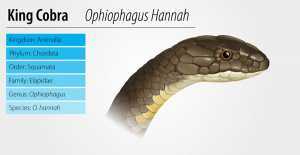 The Latin word for “snake-eater” is ophiophagus. 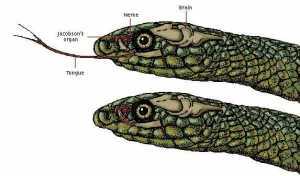 Where do Cobras live? 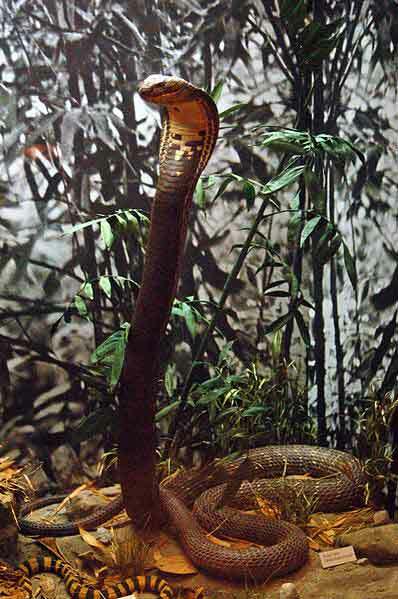 King Cobras mainly inhabit Southern Asia and Northern Africa. Other species of cobras roam as far as Australia, New Guinea, and most of the Eastern hemisphere. How Long are Cobras? King Cobras are the longest venomous snake in the world! The average male grows 18 feet long, and some have been known to grow more than 20 feet long. How big are King Cobra Babies? 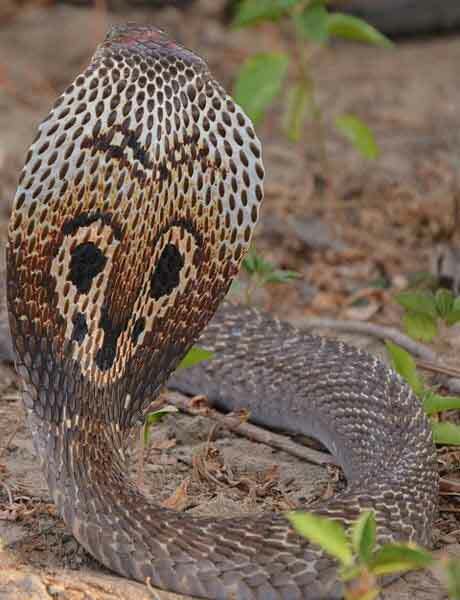 King Cobra young are called hatchlings since they come from eggs. Hatchlings are about 50cm long. 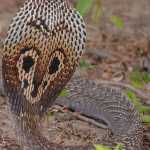 WANT MORE FACTS ABOUT THE KING COBRA? Cool clothing apparel such as t-shirts, jackets, vests and costumes are immensely popular among the young and old. We are all seeking for unique items to wear. Items that embody awe-inspiring powers of Cobra. These stunning Cobra replicas and figurines bring the cobra fantasy and legend into life. There are Cobras made of rubber, stone resin, bronzed Cobra and more. Some are used as great scary pranks in halloween, while others are used as statues of the most amazing snake in the world. Since the computer revolution started, cases for smartphones, pads or laptops have been growing in popularity for years. It was perfectly natural that snake lovers would find their favorite creatures on these cases as well. There are cases for everyone! Hope you enjoyed these fast Cobra Facts, but remember, you’ll learn a lot more and get an even better grade if you visit the full Cobra Information Portal. Don’t just copy what’s here for your report and move on, or you might miss the most interesting stuff. Also, your teacher won’t be very impressed if you just copy since the reason you had homework was to learn.